Published by Dell Publishing Co. Inc., 1971. 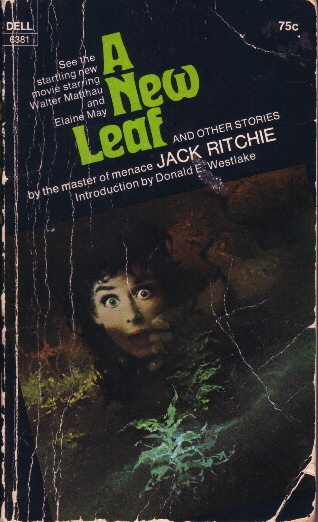 Contents: Introduction by Donald E. Westlake; Package Deal; For All the Rude People; Queasy Does It Not; The Crime Machine; By Child Undone; Remains To Be Seen; Goodbye, Memory; Traveler's Check; Painless Extraction; The Best Driver in the Country; Lily-White Town; Living By Degrees (previously unpublished); Plan 19; Punch Any Number; Shatterproof; A Piece of the World; The $15,000 Shack; A New Leaf. Published by Southern Illinois University Press, 1987. Edited by Francis M. Nevins Jr. and Martin H. Greenberg. Contents: Introduction by Francis M. Nevins Jr; Take Another Look; The Griggsby Papers; Bedlam at the Budgie; Finger Exercise; Nobody Tells Me Anything; An Odd Pair of Socks; Variations on a Scheme; The Willinger Predicament; Box in a Box; Hung Jury; The School Bus Caper; No Wider Than a Nickel; The Midnight Strangler; The Hanging Tree; The 23 Brown Paper Bags; Some Days Are Like That; The Gourmet Kidnapper; The Sliver of Evidence; The Alphabet Murders; More Than Meets the Eye; Win Some, Lose Some; The Connecting Link; The Message in the Message; Murder Off Limits; The Fifth Grave; The Final Truth; The O'Leary Conspiracy; Dial an Alibi; The Two Percent Solution; A Henry Turnbuckle Checklist by Francis M. Nevins Jr. 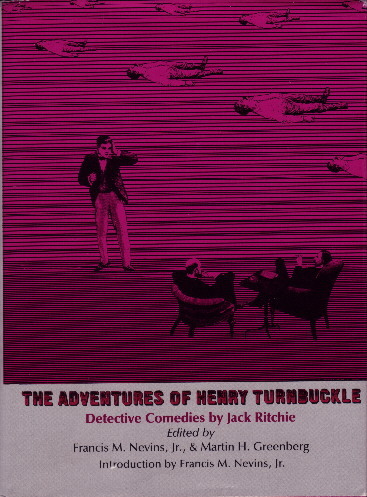 Published by St. Martin's Press, 1989. Edited by Francis M. Nevins Jr. 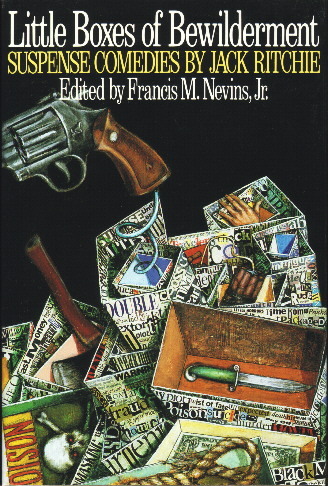 Contents: Introduction by Francis M. Nevins Jr; Fair Play; The Women Behind the Gun; The Enormous $10; Lily-White Town; Shatter Proof; Politics is Simply Murder; 9 From 12 Leaves 3; The Crime Machine; Play a Game of Cyanide; For All the Rude People; Remains to Be Seen; Traveler's Check; A Taste For Murder; Ripper Moon; The Green Heart; Anyone For Murder? ; Swing High; Going Down? ; Memory Test; Package Deal; Queasy Does It Not; Plan 19; Twenty-Two Cents a Day; Speaking of Murder; The Fifty-Cent Victims; The Best Driver in the Country; By Child Undone; Piggy Bank Killer; The Killing Philosopher; Under a Cold Sun; Living By Degrees; A Jack Ritchie Checklist by Francis M. Nevins Jr.